At SIJS we have a model of learning, SPIRAL, which provides pupils with a consistency of approach from year to year. It also gives teachers a framework upon which to craft lessons, whilst still giving staff the opportunity to put their own stamp on lessons. 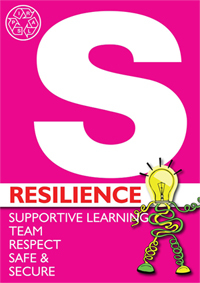 S: stands for the fundamentally key SUPPORTIVE climate within the classroom, encouraging pupils to take risks and make mistakes with their learning. It is our job at school to ensure that every child finds themselves stuck every day and that we support them in becoming ‘unstuck’ so that they make a learning gain. We have a ‘no-hands up policy’ across the school and if a question is worth asking we give pupils a minimum of 30 seconds peer mentoring before inviting feedback. 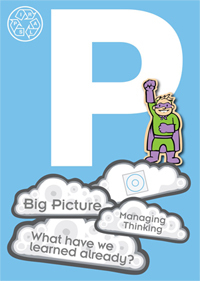 P: stands for the bigger PICTURE where we encourage pupils to make links to prior learning or establish the relevance of learning for pupils by explicitly sharing TIBs (This is Because) of WIFMs (What’s In it For Me). Making the reason behind the learning explicit for all pupils in key. I: stands for INSTRUCTION or INPUT where the teacher in each class will model the learning to pupils, making and celebrating mistakes as they do so and also making the thought process explicit by modeling it out loud with support staff. Staff know that they only have the same number of minutes as the chronological age of the children they are teaching, before pupils need a change in state, for example the opportunity to discuss with a learning a partner or have a go themselves. 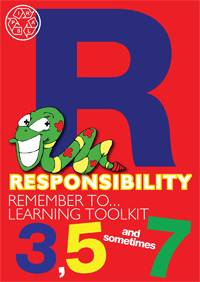 R: stands for the ‘remember tos’ which enable pupils to get themselves unstuck during their grappling (learning task). The remember tos are created with pupils at every opportunity, and we always try to make them an odd number as the brain remembers odd numbers more easily. The remember tos are key part of our use of the 4B’s which pupils make use of when they are stuck. First they use their own BRAIN to try and work through why they are stuck. Next they would use the BOARD or their BOOK, checking the remembers to and would then talk to their BUDDY. Only if all this was unsuccessful would they then ask the BOSS (class teacher or member of support staff) for help. 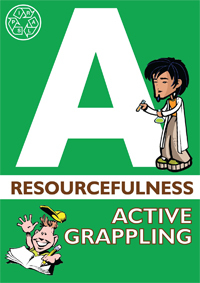 A: is for ACTIVE. We refer to learning at SIJS as ‘grappling’ whereby pupils are expected to both mentally and physically engage with the learning. We train pupils from the moment they join school to make discerning learning choices and lessons will include genuine choice in the grappling tasks not just more of the same so that all pupils are stretched in their learning. Teachers ‘sweep’ the room within 5 minutes of the pupils starting to grapple to ensure that each pupils have made appropriate choices and to identify any misconceptions or to raise the level of challenge. L: is for LOOKING BACK or LOOKING FORWARDS. 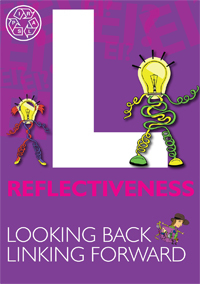 Staff use this time at the end of the lesson to encourage pupils to reflect on their own learning or as themselves as learners. 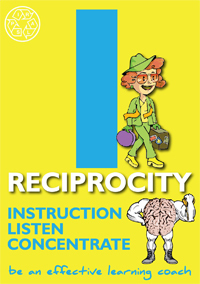 They may also contextualize the learning as part of larger sequence of lessons and may also share or elicit from pupils the next steps in the learning. We try never to end lessons with full stops, only ever commas.